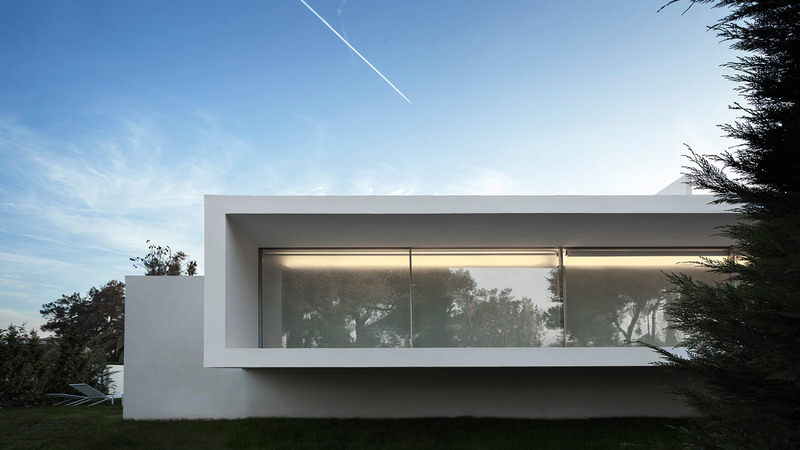 In the heart of the Mediterranean Sea one can find the Fran Silvestre Arquitectos studio. 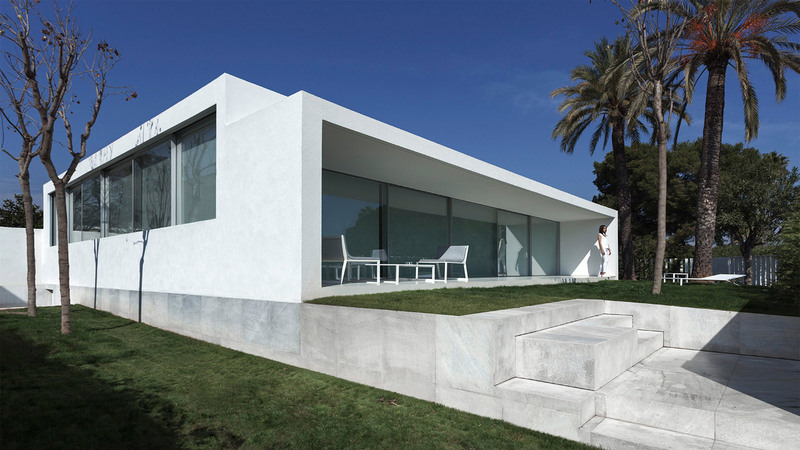 This is a project which has counted on Alfaro Hofmann for the interior decoration. 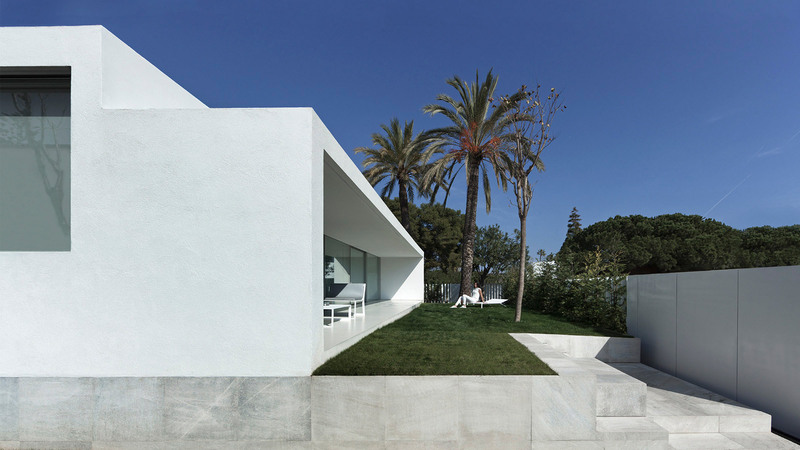 The single-family home, in a minimal style, has been conceived for the natural enjoyment of the Levante area. 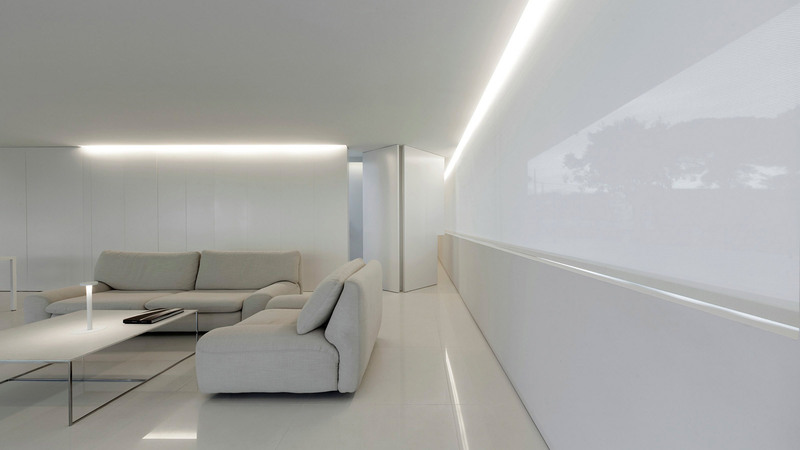 It is through pure white where its simple shapes are highlighted, placing emphasis on the atmosphere, which warmly welcomes you into the house. The same flooring has been used both inside and outside the house, therefore it seems as if both parts are joined, showing a single space. To get this impressive effect, the choice of the flooring has been the Town through-body porcelain by URBATEK, which is complemented by the Chennai Quartzite by L’Antic Colonial. 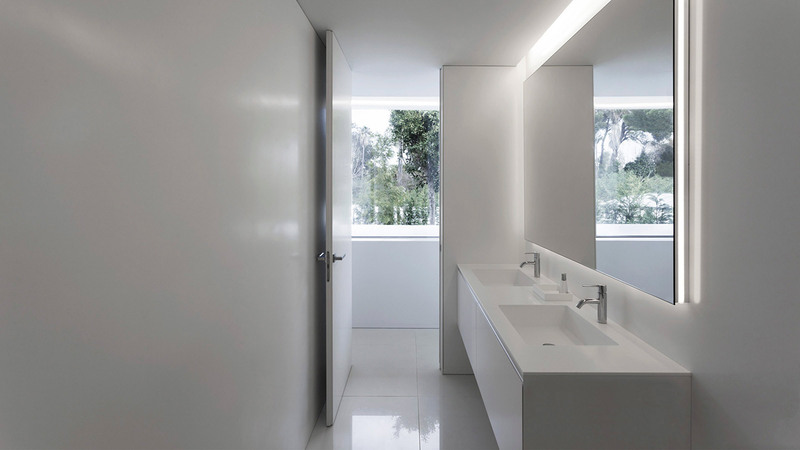 Both firms belong to the PORCELANOSA Grupo. 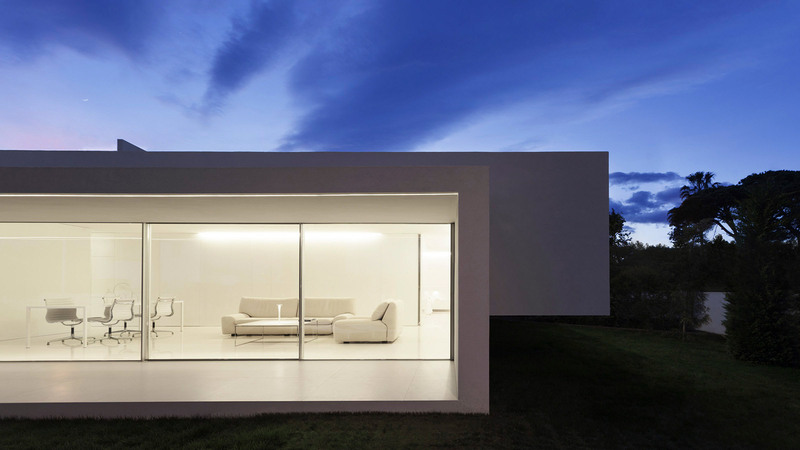 The structure is set up with two cubic volumes which are joined, thus making a single floor. In this way, you can therefore get several advantages: the porch ceiling makes it possible to have suitable sunlight control. This is a resource through which we can make the most of brightness and avoid the sunlight coming inside. The porch area is limited so that extra privacy is achieved from the outside, but without compromising the magnificent view from the inside of the house itself. The first interior room is a clear open area with bright spaces where the kitchen, dining room and living room will be. In the middle, one can find the staircase which leads to the solarium and the terrace upstairs, and which separates the rest area from the two bedrooms and the study area. 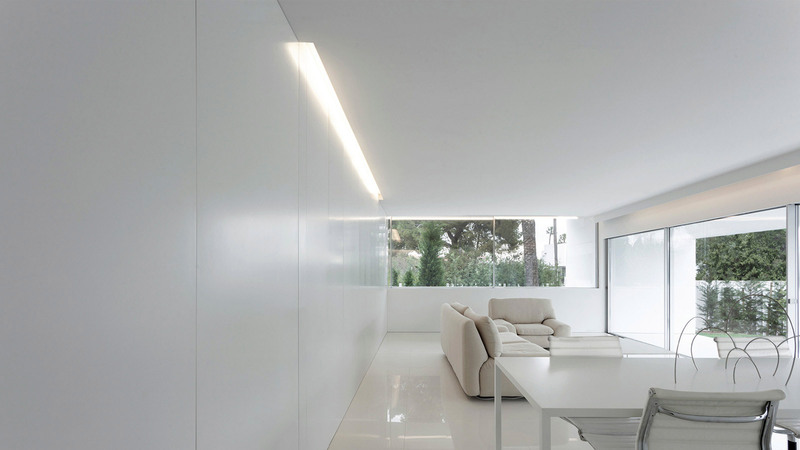 The harmony in white remains in the wall tiles, as well as the flooring, the furniture pieces and the decoration. It is the same in the kitchen where, the choice regarding kitchen furniture is from the Emotions collection (Forest E5.90) by Gamadecor. 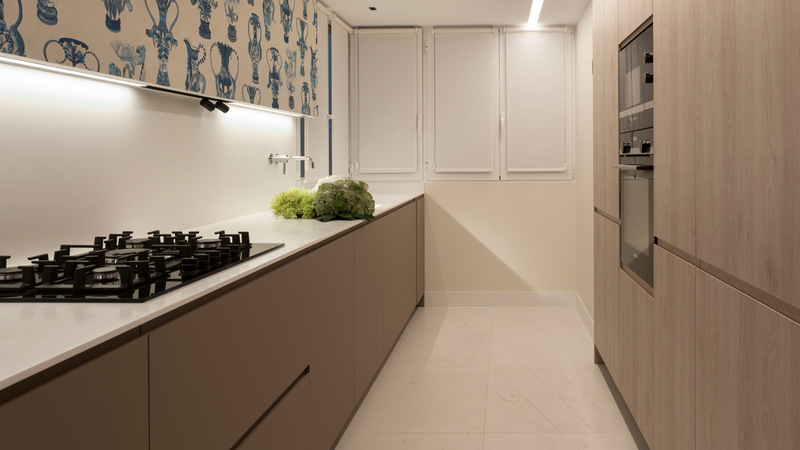 The kitchen worktops are custom-made with the KRION® Solid Surface (Systempool), the same as the shower trays. 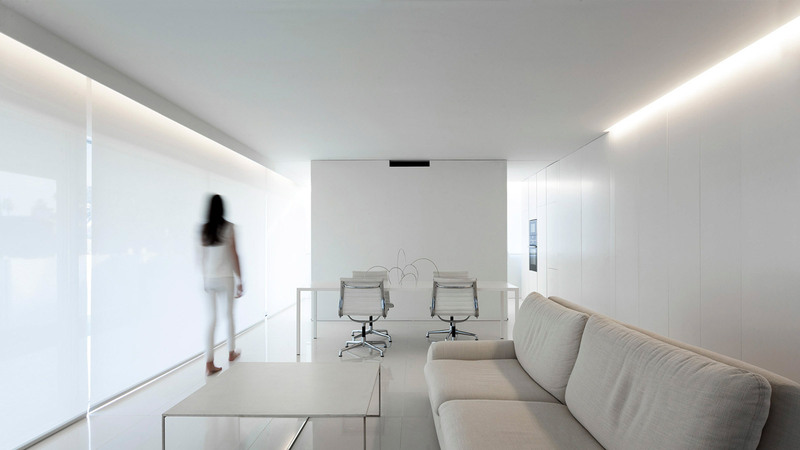 Work like this makes the ‘less is more’ statement become even more apparent. 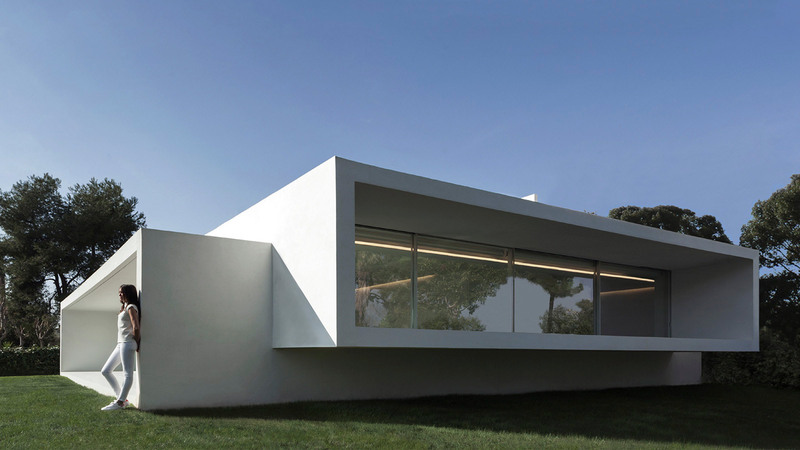 A design which reinterprets the traditional line of those villas built in the last century. 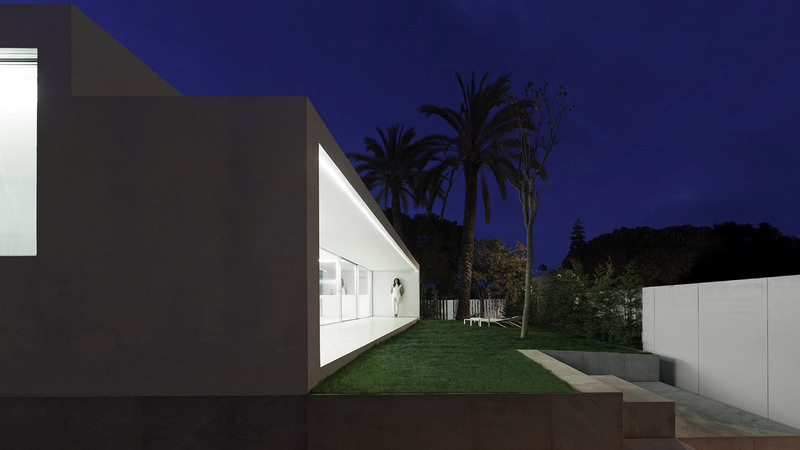 Casa de la Brisa keeps that essence but updates and reinterprets the classical elements. 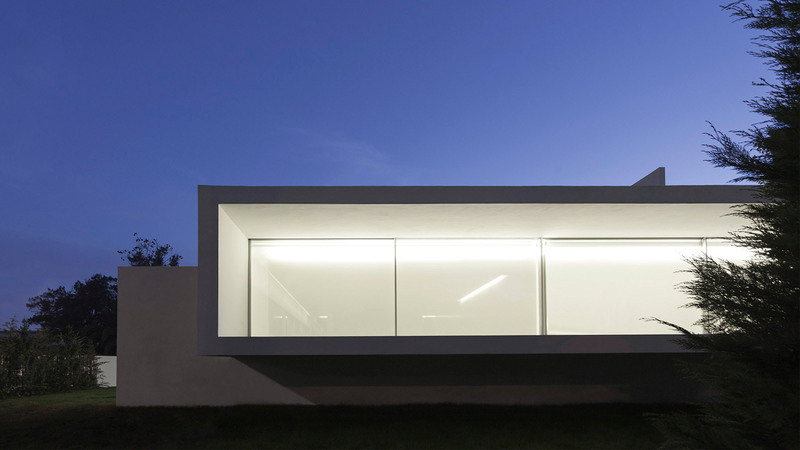 A structural style which gives importance to the atmosphere and moves away from the complexity and excess of ornamentation. As Fran Silvestre himself states, the thing is: ‘to see the sea through the breeze’. An ode to the five senses.